John Connolly's Every Dead Thing and Dark Hollow were international bestsellers. Now the "compulsively readable" (Publishers Weekly) Connolly returns to heart-pounding form with a crime novel that combines sinister menace with superb style. 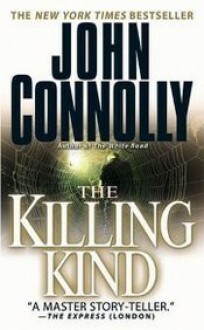 THE KILLING KIND When the discovery of a mass grave in northern Maine reveals the grim truth behind the disappearance of a religious community, private detective Charlie Parker is drawn into a violent conflict with a group of zealots intent on tracking down a relic that could link them to the slaughter. Haunted by the ghost of a small boy and tormented by the demonic killer known as Mr. Pudd, Parker is forced to fight for his lover, his friends...and his very soul.